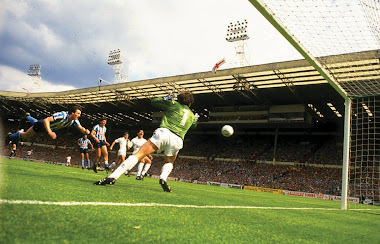 The summer of 1983 brought an influx of lower league players to Highfield Road following the departure of the club’s famous youth policy of the late 70’s and early 80’s. 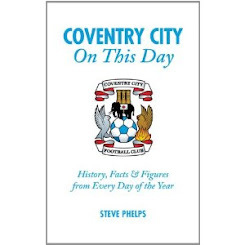 Bobby Gould brought hitherto unknown talent to the home of football and, as we all know, unearthed the likes of Trevor Peake, Michael Gynn, Dave Bennett and Micky Adams. He also introduced a duo from Bristol Rovers, his former club, who spent less than two seasons with the club but made an instant impact upon their arrival. 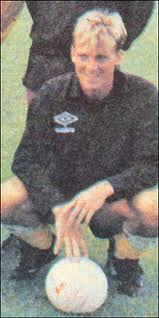 Their names were Nicky Platnauer and Graham Withey. 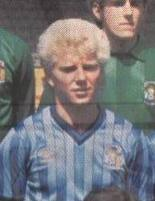 Graham Withey appeared in a City shirt on 27 occasions and scored seven times. 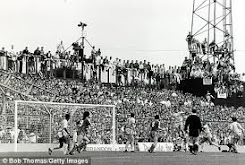 Signed as back up to Terry Gibson and Dave Bamber, his transfer fee was £5000 and he would score past Ray Clemence on his debut at White Hart Lane and made a substitute appearance in the famous 4-0 win over Liverpool. 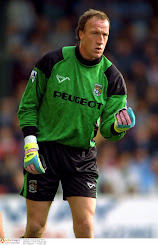 After two seasons he was sold to Cardiff City and went on have a distinguished career in the lower divisions with Yeovil, Bath City and Cheltenham Town amongst others. 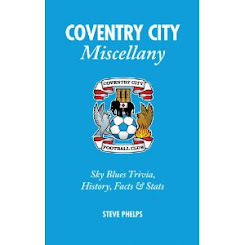 Nicky Platnauer played 53 times for the Sky Blues and scored six goals following his £10000 move from Eastville. His debut came as substitute in the 3-2 win at Watford on the opening day and he would spend most of the time in midfield with his trusty left foot. Not only did he open the scoring in the first minute against Liverpool with a grass level diving header, he went on to be named the club’s Player of the Year at the end of 1983/84, no mean feat with Terry Gibson in the side. His departure from City coincided with Bobby Gould leaving at Christmas ’84 and he transferred to Birmingham City from where he took in spells at Cardiff, Notts County and Leicester amongst others on his way to 450 senior appearances. 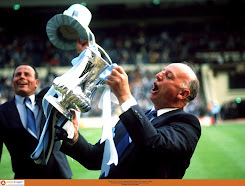 Both men contributed to one of the most memorable days ever witnessed at Highfield Road in December 1983 and they will go down in history as part of the side who demolished the champions along with Raddy Avramovic, Brian Roberts, Stuart Pearce, Trevor Peake, Sam Allardyce, Dave Bennett, Michael Gynn, Dave Bamber, Terry Gibson and Gerry Daly. On his visits to City with Forest and Southampton David McGoldrick was always on the periphery, used as a substitute or substituted. When we signed him I was sceptical but how wrong can you be. Six goals so far and we are still in October - last season’s top scorer scored just nine goals and it’s rare to see a Sky Blues’ striker in the goal scoring charts. Mark Robins will be planning for the new year, there won’t be any waiting until late December to sort out new deals for his loan stars, that mistake won’t happen again. 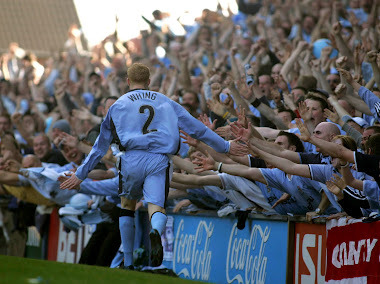 A new idol may be forthcoming at the Ricoh, we have to rewind to big Mo for the last one. As the song goes: ‘he scores when he wants, he scores when he wants, David McGoldrick he scores when he wants’ - last season the team couldn’t score for love nor money, what a refreshing change.